property guardian research | Information, critique and analysis of property guardianship in the UK. Join in! A lot’s been going on with property guardianship in the last few months – a quick roundup and also some edits to our other pages is needed! Our friends over at SQUASH have put together a very critical page on PG, including testimonies from former guardians with Camelot and Ad Hoc and our guide for guardians/ potential guardians. It’s very thorough, also covering UK Govt position on PG (‘not a/our problem’) and a very handy table building on our research of the main 4 different types of PG companies. Gotta catch ’em all! 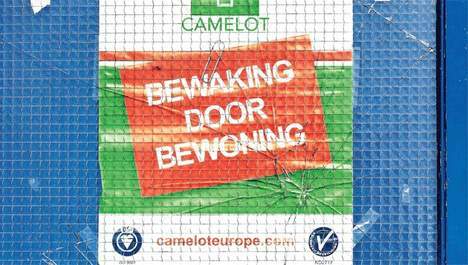 The ever-reliable Nearly Legal has been given Camelot’s eviction warning letter, which he calls ‘ pseudo-legal and semi-literate gibberish.’ If enforced, these notices would constitute an unlawful eviction in breach of the Protection from Eviction Act 1977; indeed on 28th Sept 2016, Camelot sent in private bailiffs without a court order and the occupier is now seeking legal advice. One to keep an eye on. Of course, the role of private bailiff firms in (often unlawful) evictions in the ongoing housing crisis is a whole issue in itself, and it’s worrying if they are playing a bigger part in the enforcement of the property guardian mechanism. Sian Berry and Green Party activist Samir Jeraj have researched local authorities’ use of PG in London, finding that in 2016 over 200 local authority buildings were used for PG. In terms of properties, Lambeth, Lewisham and Newham came out as the biggest users of PG. She suggests that PG properties would be better used as community spaces, or if for housing, should be fully recognised as tenancies and not licenses. Berry has asked the London Mayor to call for clarification of the law to allow buildings used by property guardian companies to be classified as Houses of Multiple Occupation and allow minimum standards of health and safety to be enforced. 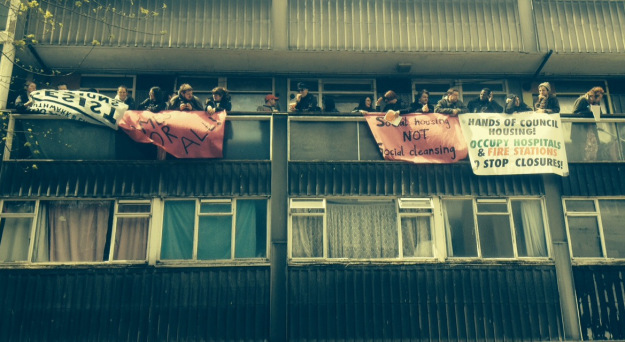 This article by the impressive Housing Action Southwark and Lambeth nicely juxtaposes the statistics on squatting and PG to reveal ways in which the repression of squatting and the rise in guardianships are interrelated. We think that’s called irony! A meditation on guardians, meanwhile use and incarceration in Reading Gaol. This month sees a new TV comedy, Crashing, on Channel 4. It’s about the ups and downs of a group of property guardians in a London hospital. With dodgy furniture and difficult housemates, it’s a story many of us are familiar with. We’ll be watching the series keenly to see how it represents property guardianship in particular. If you’re watching the series and are inspired to find out more, or if you’re a guardian already, we’ve done a FAQ on property guardianship, covering rents, deposits, legal aspects, support and advice, and where to find more info. Click here ! We hope you find it useful – please share! And if you have any thoughts you can email propertyguardianresearch@gmail.com. We’ve not had much time to update this site but we thought we would cross-post this very useful blog from London’s Tower Hamlets Renters, a housing action group, about notice periods and evictions for property guardians. – Property guardians (like tenants) cannot be forcibly removed from a property without a possession order granted in a court of law. Please get in touch if you have successfully challenged notice periods/ evictions as a guardian. For years property guardian companies told their tenants they were only entitled to two week’s notice if the owner requested their property back. They have also been known to evict tenants within a week for breaking the terms of their agreement, for example, by having a party. They believed getting tenants to sign temporary licenses – instead of tenancies – made the terms legitimate. The law protects any “residential occupier”, who has the right to live in a property whether by license, tenancy or other contract. There’s been quite a lot going on recently so we thought we would do a brief round-up of news and developments. We hope to make this more regular. In the last few months, 3 new players have appeared in the rapidly-diversifying world of property guardianship. They are all quite different and this shows the way in which property guardianship is developing to suit different clients, guardians and areas. Operating in London, Brighton and Bristol and charging £50-70 pw plus a £750 deposit. Rather like DotDotDot, on a ‘social business’ model. ‘In order to maximise our social impact within the neighbourhood we will collaborate with local community partners to deliver our volunteering programmes. Each neighbourhood will be different and we will always seek to ensure our volunteers’ activities complement existing projects and deliver measurable outcomes.’ They also claim to be reinvesting up to 40% of guardian licence fees into a community fund. Formerly SitexOrbis, this company is one of the biggest security companies in the UK, responsible for 50,000 properties. It has entered into the property guardian market later than some of its competitors, offering a more professional approach. They write ‘Orbis has developed a best in market offer that is actively monitored and fully auditable to ensure fire, electrical, environmental and health and safety compliance and security…. we are the first company to provide a complete in house property protection service offering the traditional services alongside our professional live-in guardians service.’ They have also published a report on the industry (see below) but there is very little on their particular model in terms of charges, conditions and locations. A London-based business set up purely to provide guardians, run by people who have been guardians themselves. A predictable development and it may mean a different approach? They are charging £25-100 per week and a £350 deposit. Orbis (mentioned above ) has published a useful report on the industry, available here. – The sector is growing rapidly and demand has grown 30% in London and 40-50% in the Midlands (over an unspecified period of time). It’s an interesting piece – and not just because it has some useful (if uncited) data. It has a strangely naive stance towards the relationship between the state and ‘the market.’ The report describes property guardianship as a ‘natural market evolution’, at the same time acknowledging its existence is also due to market failures such as the large number of empty housing estates in the Republic of Ireland. It also claims that ‘without the guardianship option, the Government would have to find homes for the 4000 people who currently perform the guardian role.’ The state as it is currently configured has almost no direct role in housing people, especially not those on low income – it has deregulated house building for private sale by the private sector (including those left empty in Ireland), as levels of social rented housing remain pitiful, despite huge demand. The report sees the guardian industry ‘professionalising’ but not requiring regulation as ‘guardians will increasingly be able to opt for the more professional operators and the market will become self-managing.’ With 25+ companies already operating in the UK, the ‘choice’ doesn’t stop guardian companies being able to exploit those who simply can’t afford any other accommodation. There are also precious little examples of ‘self-managing’ sectors in UK housing. The existence of hundreds of thousands of private landlords doesn’t seem to stop them being able to pick and choose tenants, evict them at will and raise the rents above inflation on a regular basis! This case appears to have implications for other guardian contracts which stipulate a two-week notice period. Are guardians now free to speak to the press? In the past, guardian contracts have stipulated that the guardian does not speak to the press about the property. Doing this would constitute a breach of contract, risking eviction or fines for them. But the New Statesman/ CityLink article suggests this is no longer the case. Please contact us if you have information about this. In the Netherlands, renting is far more secure than it is in the UK and the majority of people rent, either from public or private landlords. However, rented housing has in recent years become ‘liberalised’, with social housing sold off, and more short-term or ‘flexible’ rent contracts introduced, contracts terminated more quickly and tenants evicted more easily. The Netherlands is also the birthplace of property guardianship, which has flourished since the 1990s, whilst squatting has also been made illegal in all properties. Property guardianship functions as part of this wider trend towards insecure tenancies. The Government is currently proposing legislation to create 2- and 5-year ‘flexible’ tenancies for new tenants, prioritising “starters” and ‘key workers’ with the presumption that people will earn more and then can afford to buy. This echoes the ‘right to buy’ policy in the UK but also produces more subtle, interlinked and individualised forms of rent and discrimination between different types of renters. There is also a strong link between these new rents and ‘starter/flexible’ type jobs, which in the Netherlands on average only earn about 30% less of the average wage people with indefinite contracts. The Union of Precarious Tenants, founded in 2010, is a membership organisation made up of property guardians and tenants with ‘flexible’ arrangements. We hope to publish an interview with one of the founders of the organisation soon. We think that these developments in the Netherlands will be of interest to those organising and working in and working on rented housing and/or low-paid, flexible work in the UK. Do get in touch if you want to collaborate around this. The fact that the government wants to expand the possibilities for short term tenancies for house-hunters suggests that there is a need for these tenancies. In reality, the government has no idea what people’s needs are and merely listens to commercial interests, in this case the real estate industry. The Dutch government to create a class of “disenfranchised flexible nomads”; living in poverty and insecurity. The Union of Precarious Tenants (BPW) is a volunteer organization which exists to demand living rights for different types of “flexible tenants”, to support these residents who are forced into anti-squatting or other temporary living situations, and to research the ongoing developments in this area. We see very disturbing circumstances in relation to the housing shortage, including the increasing proliferation of temporary housing and the related abuse of people who need housing. Residents are afraid and don’t know their rights. In addition, “flexible living” and ” flexible working” increasingly go together, particularly at the lower-paid end of the labour market. Temporary workers are also increasingly temporary tenants. The legal status of people – both in housing and in work – is being affected at a rapid pace. The people who come to the BPW for help do not live in temporary accommodation because they choose to; in fact they would like a permanent home, but cannot afford it. The “free choice ” of temporary living … is only in reality a very small number of well-off people. The people we see at BPW cannot pay in the market rental sector and certainly can’t afford a mortgage. Some are eligible for social housing, but there are ever fewer social housing units, because many have been sold and housing associations ‘liberalized’. And if there is social housing available, then it is often too expensive for many people; soon some will be over 500 Euro per month. The minister, the Christian Union party and the Stadgenoot housing association say that housing needs flexibility to operate. They are also framing the ‘starter’ in their proposed ‘flexible contract’ as a highly-educated graduate who might just be starting in their first job and not earning very much. In reality, people young and old, educated or not, get low-skilled temporary living arrangements, like property guardianship and temporary letting because they can’t afford anything else. Instead of looking critically from here to determine whether this is a desirable development in theNetherlands , on 14th April Minister Block made the problem worse by appointing “special” groups who will now not get permanent tenancies, eviction protection, relocation rights and relocation expenses. This includes “key workers” such as nurses, police, PhD students, migrant workers, largefamilies, divorced, ex-prisoners, ‘antisocial’ tenants, young people, people starting out and possibly more “free” categories. Minister Block pretends that these are exceptions (“so you can sleep easy “) and proclaims that “a temporary home is better than no home”. But he adds no concrete proposals for a wider range of affordable homes, even though the demand for affordable rental housing is increasing and the supply is decreasing. So in the Netherlands we are creating poverty and an insecure existence; these disenfranchised flexible nomads and temporary residents can lose both their work and their home at any time. Through supporting tenants, BPW are constantly faced with the issues of poverty and forced eviction. Earlier this year, the social housing organisation Aedes reported nearly 7,000 evictions in 2013. We know that each year in the Netherlands, many more people with temporary rental and other temporary contracts are evicted too. However, this is not recorded because these evictions affect “people who have simply chosen a temporary contract and know it could be terminated at any time.” In practice, people usually have no choice and the misery of a contract termination for these residents is no less. After a period of temporary rent, access to affordable rent is still zero. So people come back in a temporary home contract, again and again. Do the politicians who are so keen on temporary contracts think it is also a solution for a family, as with the recent case of the five children from Soesterberg facing eviction? To that question, the answer is silence, a shrug and a flimsy appeal to people’s personal responsibility. The BPW know from experience that silence on the part of politicians will be met with social unrest!